Katy and Sandra accepting an award in 2017. Katy Sanchez is a Special Olympics New York Athlete Ambassador and has been a Special Olympics athlete since 2007. She competes in golf, soccer, floor hockey, basketball, track and field, cycling, and triathlons. The first job I worked was at Hayfield Animal Hospital in Virginia in 2004. 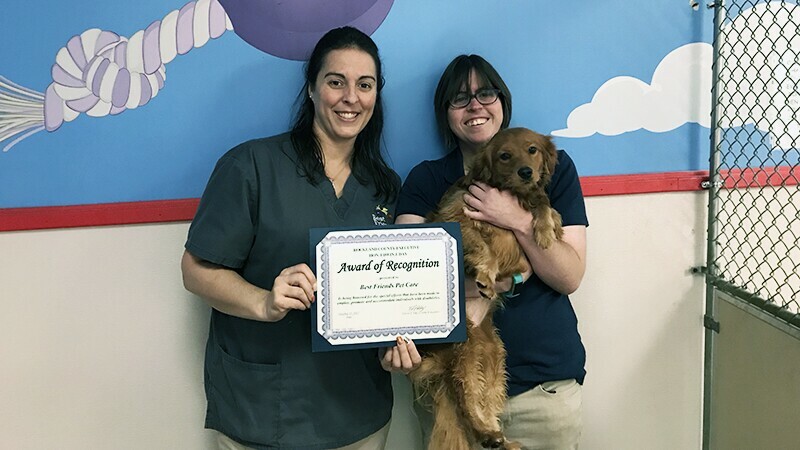 The reason my manager Annie hired me was that she could tell after talking to me that I really love animals and wanted to do something that would help them. I was very eager to help and learn how to work with animals. My teacher also thought the position was something I was capable of doing. My teacher was an Animal Science teacher. She knew that I could work well with animals. Annie was a very good manger because she supported me and understood me. That time I didn’t have a job coach and I was very successful doing my job. 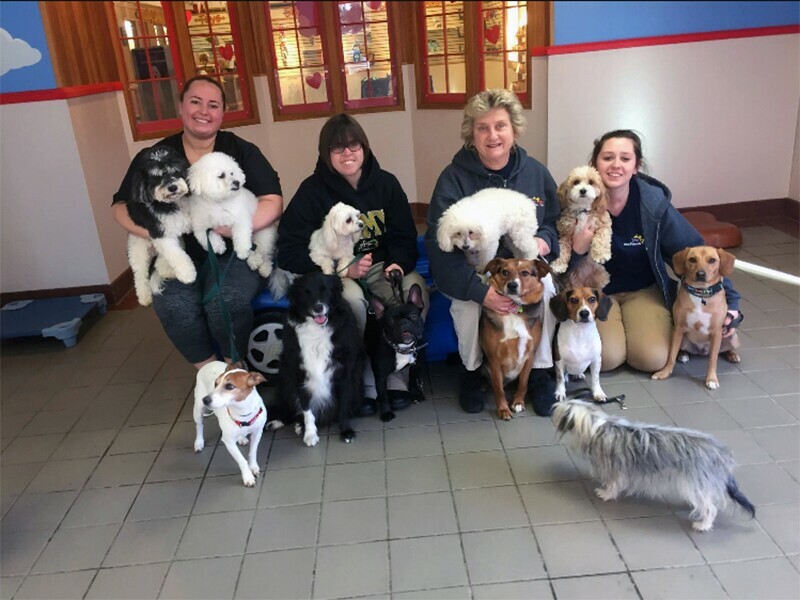 My current job is working at Best Friends Pet Care in Chestnut Ridge, New York as a Doggie Camp Counselor. The reason why my manger Sandra hired me is because I impressed her and she knew that I could to the job. Right now, I supervise 15 to 20 dogs in a small room. I have been trained in the Kennels and as a Playtimer as well. Sandra was a very good manager because she supported me and understood me. I am sad she recently left but I am looking forward to finding another job and a new manager. My experience as an employee with intellectual disabilities has been wonderful because I always feel welcomed. The other employees at my jobs saw my abilities. I am capable to do any job that I put my mind to. I always invite them to my Special Olympics event and they know they are welcome. Employers should hire people with disabilities because we are capable of doing the job right and perfect. It may take more time for us to complete the job but that’s fine. We are smart people when it comes to jobs, and we always do our best. Sometimes we need a job coach, and that’s fine too. People with disabilities should have a right to do a job that they love and be able to hold that job. We are no different from anyone else, and we should be judged by what we can do! I am thinking about going back to school to become a personal trainer for people with disabilities. After being in Special Olympics for 11 years and running for 4 years, I would like to help other people become healthy like I did. Watch Katy in this video about inclusion from County of Rockland, NY.